Great coloring on your little cutie image and the pretty background dp look super with him :) Thanks for haring with us at PIP this week!! Adorable! Finely colored too! Thanks for playing along with us at PIP Challenges! 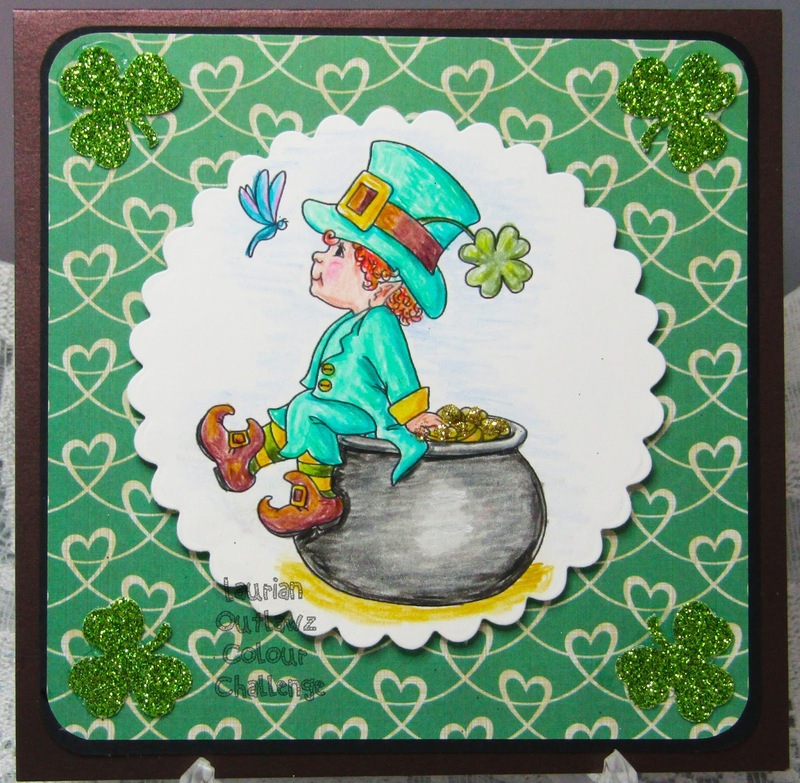 What a darling little leprechaun and card! Thanks for joining us Paper Girls and our Luck of the Irish challenge! What an adorable card. 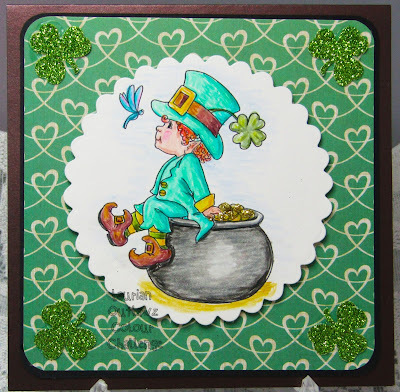 Such a cute leprechaun. Thanks for joining us at PIP challenges. Such a lovely card. Loved the way you the colored the image. Thanks for joining us at TTCRD. Hope to see you again. What a cute image and he really pops off the card with your coloring. Thanks for joining us on the PIP challenge. Great card, thanks for sharing with us at Cutie Pie.